Private Investigator Peri Minneopa is hired to investigate a wealthy, possibly cheating wife, but the wife's girlfriends have other ideas. After all, a friend will help you move - a good friend will help you move a body. They were all interesting and brought to life well. Which character – as performed by Wendy Pitts – was your favorite? Love it listened in just one sitting! Would you listen to Hit or Missus again? Why? 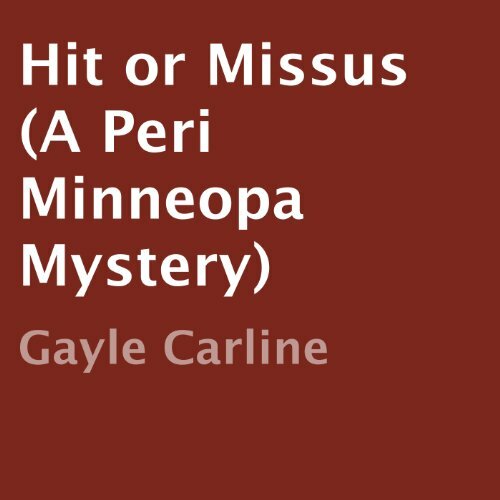 Hit or Missus was a great mystery, had me rooting for Peri throughout the whole book. Peri was definitely relate-able; her down to earth personality paired with her well meaning determination definitely had me wanting more....thankfully it is a series! What does Wendy Pitts bring to the story that you wouldn’t experience if you just read the book? Wendy Pitts portrayal of each character was seamless; listening made you feel as if you were in the room as the storyline moved along. I did not intent to listen to this book all at once, but it certainly happened! Would you consider the audio edition of Hit or Missus to be better than the print version? The audio version is so much better because Wendy Pitts is really right on the button with her voice interpretations. The plot definitely kept me going because I kept listening long after I should have gone to bed! Wendy Pitts makes the characters vividly alive. There is an added dimension that isn't there when you just read a book. I couldn't have picked the voices but I know when they are right and the voices here are great. Peri's voice seems just right and Benny Needles voice is absolutely perfect! Peri's reaction to being shot at was astounding. I can't imagine being able to function at all with bullets coming in my direction. I love Peri's curiosity--her need to know, to find the answer.